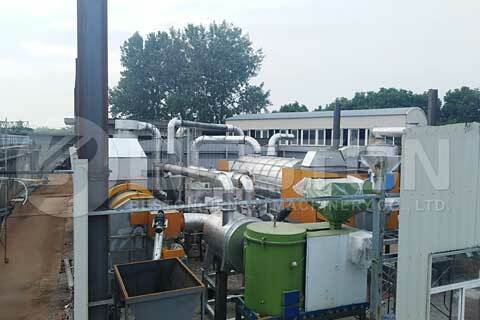 Biomass pyrolysis plant refers to the plant that turns biomass into biochar through the technology of pyrolysis. If you google “biomass”, you’ll find that “Biomass is an industry term for getting energy by burning wood, and other organic matter”. 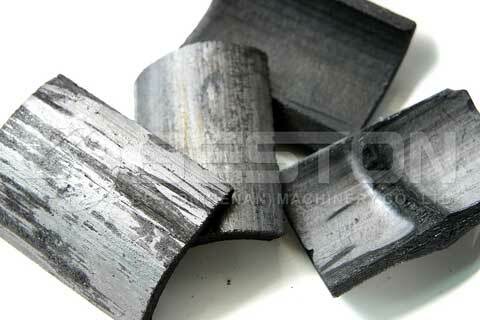 Therefore, using advanced technology to turn biomass into fuel is proved to be a trend of waste to energy. 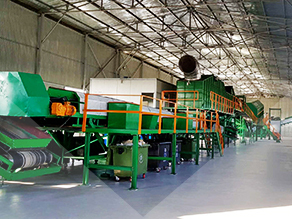 And this kind of plant is a green and high-efficiency biomass waste recycling machine and is now gaining more popularity in recent years. For example, the forest coverage rate in Malaysia is 73.4% in 2018. That means a large amount of potential biomass energy except for wood resources. So, if we can make good use of them, we will find more ways to solve the problem of resource shortage. 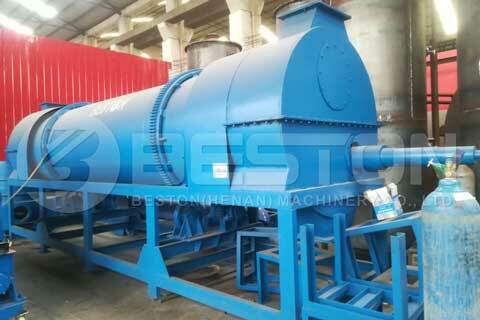 Our biomass pyrolysis equipment can get energy from biomass, but it is nothing to do with burning or incineration. 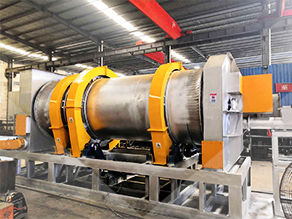 Pyrolysis of biomass is a chemical reaction that only happens in a sealed and oxygen-free environment. 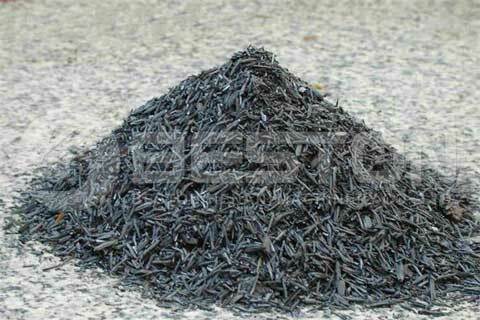 The raw materials can be all the organic waste in nature, including green waste, agricultural waste, human and animal waste, food waste, etc. 1. 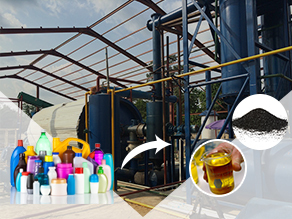 Realize a minimization, harmless and energy-saving treatment of solid waste. Using this plant to dispose of organic waste can reduce 80% of the total volume of the waste in the landfills. 2. Making bio charcoal. 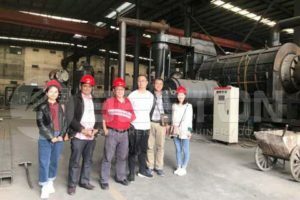 The machine can produce charcoal from biomass, therefore, it is a charcoal making machine except for a biomass waste recycling plant. 3. Bringing profits. 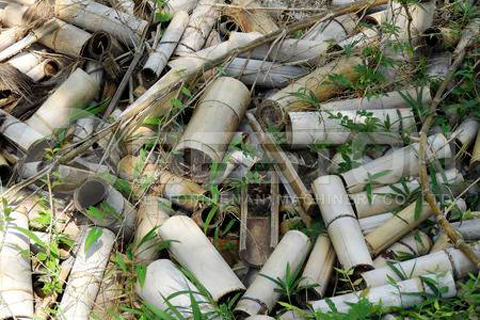 Except for bio charcoal, there are additional by-products generated, e.g. wood vinegar and tar. 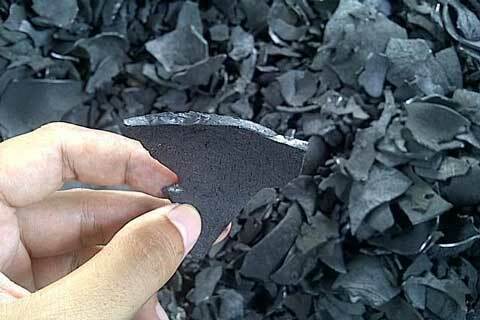 Either the biochar, tar or wood vinegar is important raw material in many industries, so investing in pyrolysis of biomass will bring you considerable profits. 1. Feeding. Feed the biomass into the reactor through the constant weight feeder. 2. Shredding and drying. If the water content of the biomass is over 20% and the size over 20mm, you will need to shred and dry them before feeding. 3. Carbonizing and pyrolysis process. Heat the reactor and the fast pyrolysis of biomass will occur. 4. Bio charcoal discharging. After the high temperature and fast pyrolysis of biomass and de-sulfurization, the biochar will be discharged through the sealed discharger. 5. Combustible gas recycling and safe emission of residual gas. Combustible gas will go through the filtering and purification system to get dust and sulfur removed and then be used to fuel the reactor back. The rest will go to the condenser and separates into tar and wood vinegar. The residual gas will also be filtered before emission. And the emission of all biomass pyrolysis plant in Beston is zero-pollution to the environment and meet the EU environmental emission standard. 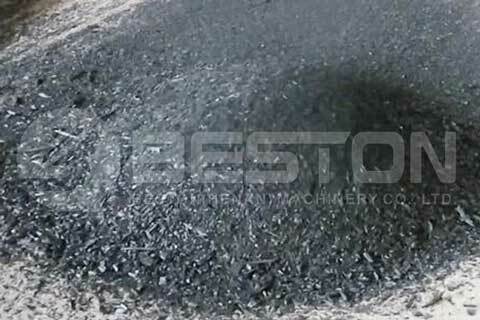 1.Beston biochar production plant has got the certification of ISO, CE, and SGS. We make sure each part of the equipment in the best situation while arriving at the customer’s place. 2.All the plants have a one-year quality warranty. 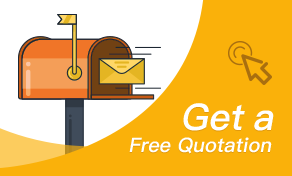 During the first year of using, all the maintenance and adjustment are free. 3.We have professional engineers who can visit the customer regularly after the plant starts running. 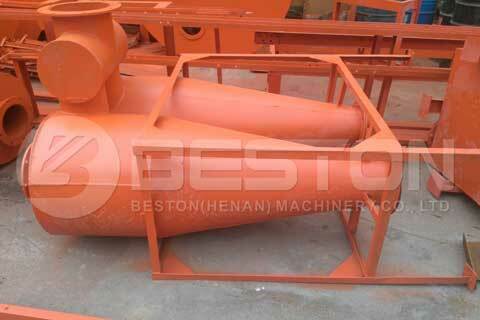 4.We can help in the basic construction, preliminary preparation, assembling and testing of the plant. Q.What is the temperature in different phases? Carbonization? Discharging? Furnace temperature? 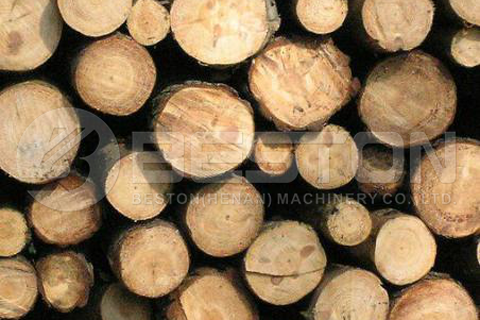 A. Biomass carbonization (pyrolysis) temperature is between 380 and 450℃. The Discharging temperature is under 30 ℃. 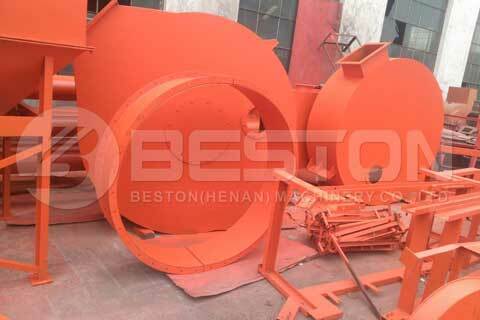 The interior temperature of the pyrolysis furnace is between 450 and 600 ℃. Q.How much tar and wood vinegar can be generated? A. 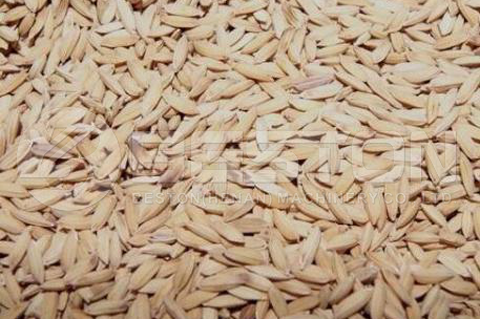 Take the feedstock with 10% water content for instance, 1 ton of biomass can produce 20-40KG tars and 40-80KG wood vinegar. Q.How much combustible gas we can get? 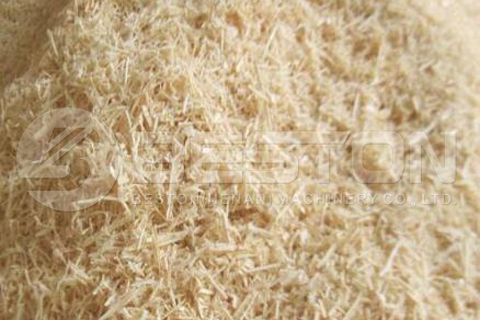 A. Theoretically, 1KG biomass can produce 2㎡ to 3㎡ combustible gas, the heat value is 5.15MJ/㎡. Q.How long will it take for the whole reaction process of biomass? A. 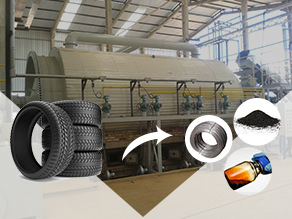 From feeding to discharging, the whole process of carbonization and pyrolysis is about 15 min (taking wood chips and rice husk for instance). The granularity, density and water content can affect the specific time. 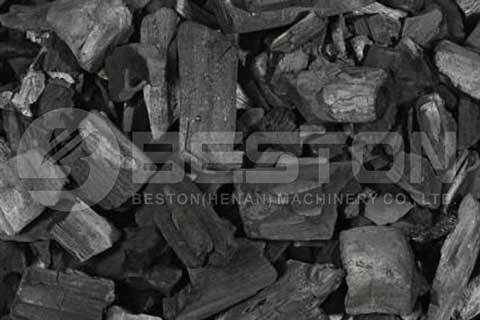 For more questions, you can refer to the FAQs for Beston Charcoal Machine. Biomass is a valuable resource for human beings. 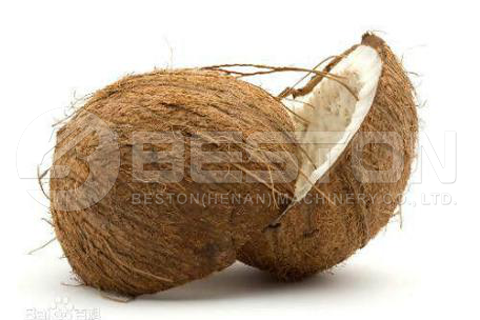 It contains a large potential for utilization, especially for the current world that is suffering from resource shortage. As a result, maximizing the utilization of it will be a good and correct thing to do. 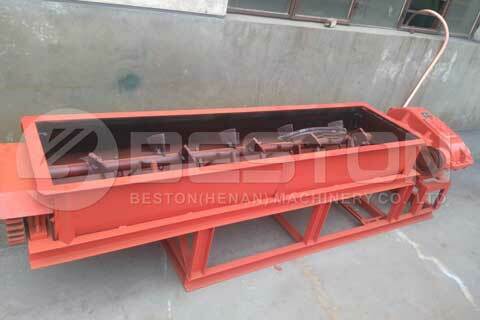 Using Beston biomass pyrolysis plant, you can realize the value of biomass. At the same time, it will return you a lot. 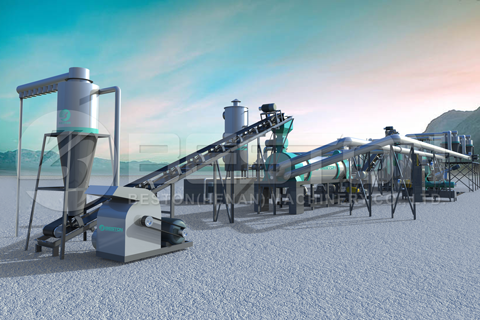 If you are interested in this machine, you can contact us at any time or follow us online.